Thermocouple Process Calibrator is a exactitude measurement and source handhold instrument, it can be use to calibrate the Thermocouple instrument. Thermocouple Process Calibrator can measure or simulate 8 types of difference Thermocouple (°C or °F), and measure or simulate the millivolt. But is could not use to measurement or source at a same time. Battery type 1.5V AAA x 6 batteries. 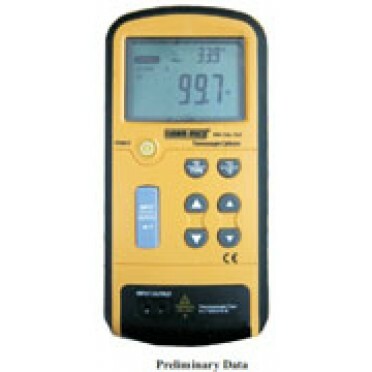 Features & Specifications :1000 A AC / DC Clampmeter With Inrush Current Measurement - 9999* Lar..